From a betting perspective, the Monday Night Football doubleheader is shaping up as a battle between the so-called sharps and squares. 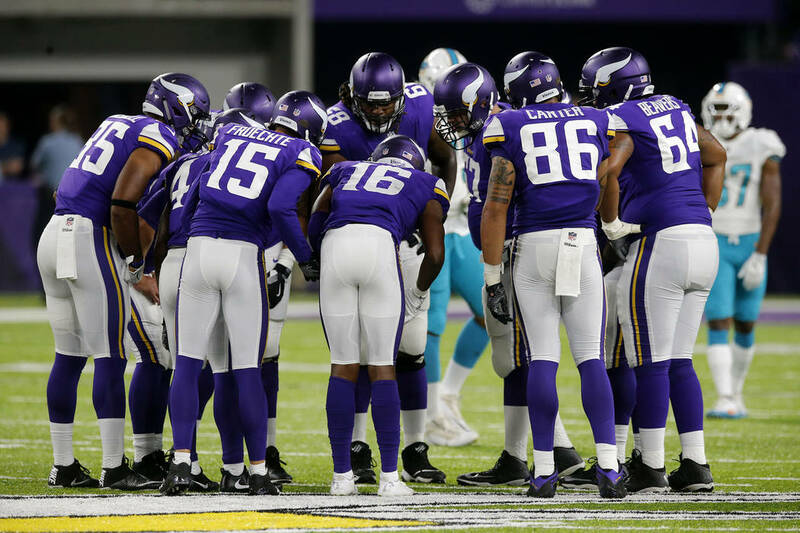 The Minnesota Vikings are favored by 3 points at home over the New Orleans Saints in Monday’s 4:10 p.m. opener and the total is between 47½ and 48. “We have been back and forth with this Saints-Vikings game and we’re back to needing the Saints,” CG Technology sports book vice-president Matthew Holt said. “It’s kind of a pros vs. Joes game. The money bet over the counter is almost twice as much on the Vikings but there’s four times as much money on the Saints on account. Saints bettors can grab 3½ points (minus-130) at MGM Resorts sports books. The Denver Broncos are favored by 3 points at home over the Los Angeles Chargers in the 7:20 p.m. nightcap and the total is between 42 and 42½. Holt said professional bettors and the public are both on the Broncos-Chargers under, which is between 42 and 42½ after opening at 44.